We’ve been talking on our blog lately about the hottest trend in bridal hair right now: the loose, natural look. We love the natural style trend, and we think this look is the perfect match for a delicate bridal hair accessory! 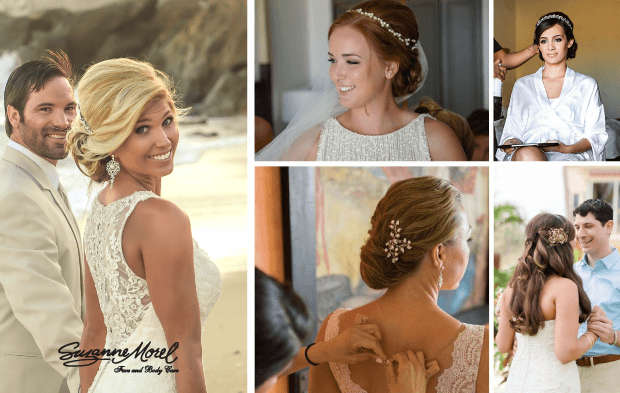 Whether you choose a beaded headband or a something with a lot of sparkle, the expert bridal stylists at Suzanne Morel Face and Body Care can make sure your bridal hair accessory looks stunning and stays put until the last guests leave your reception! If you love this season’s boho chic bridal trend, then a fresh flower crown is the must-have bridal hair accessory for you! And don’t worry, if you don’t like the idea of a big flower crown—a single bloom or a couple of small flowers look just as amazing! 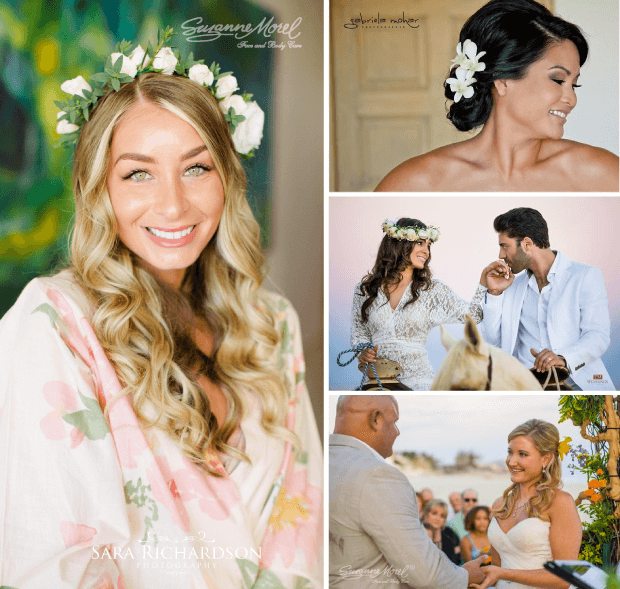 When you call Suzanne Morel Face and Body Care for your free bridal hair and make-up consultation, be sure to ask how we can style the hair accessories you love to complete your bridal look in Los Cabos! This entry was posted in Cabo Bridal Hair and Makeup and tagged beach wedding flower crown, beach wedding hair, boho chic bridal hair, bridal accessory, bridal floral crown, bridal flower crown, bridal hair flowers, bridal hairpiece, bridal headband, Cabo bridal consultation, Cabo bridal salon, Cabo hairstylist, Cabo wedding hair, Cabo wedding hair trial, Cabo wedding salon, hottest 2016 bridal hair trend, loose natural bridal hair, loose natural wedding hair, Mexico wedding hair, natural bridal hairstyle, natural wedding hairstyle.